After buying some limited sample inverters from this seller in 2013, we decided to start full commercial orders in 2014. We ordered 2 different products with total cost of about USD 10,000. In the process of selling the first batch or the commercial order we started receiving complaints of malfunctions and faults from customers. We even found a unit of one of the 2 products did not work at all right at the time of installation despite having no sign of physical damage or ingress of any liquid or fluid. Soon, we realized we were faced with a high failure rate of 10% which reached a peak of about 15% by the time all the units had been sold for each of the 2 products. We complained to Tina Yuan who was our sales contact using email (musta@mustups.com) and by phone (+86 13420968535, +86 189 4872 0962) and by whatsapp at different times but despite her promises nothing was done to address the problem. Several emails were sent to Tina and to the sales team mailing list and most of the emails were not replied. At a point Tina admitted they have received similar complaints from other resellers about the failures of the control board in one of the products which usually resulted in this particular product not accepting mains/utility power for battery charging or bypass operation. She indicated she will arrange for replacement boards to be shipped to us but failed to do so. The last complaint was made to Tina during the last 2015 Intersolar event and she asked me to send complaint again by whatsapp which I followed up with an email but she did not reply to any of these. I informed her I will use all means to report to relevant agencies or authorities about this dumping of poor quality products without necessary support by MUST and the effect this will have on their brand image but still there was no response. Every attempt to contact the senior or executive management of Must Power was also not successful which seems to be deliberate to shield the company from taking responsibilities. I learned that you must not be deceived by Chinese companies that pose as manufacturers but lack real technical support for their products. They may have good website and even showcase products at global industry events. I learned that Must Power does not seem to have any strong technical team as we were never handed over to a technical team to resolve the problems. 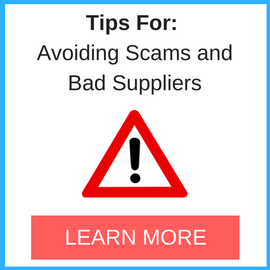 I advise other buyers to beware of this seller as they do not support their products. They are interested only in selling and collecting payments. This seller appears to be trading company that does some basic assembly of generic components with little value addition other than packaging. 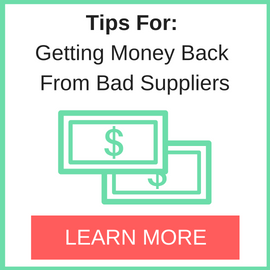 If you must deal with this company make sure you have a strong legally binding contract to protect you from potential losses due to product failures. Ensure you secure a 3 years warranty for the products at the minimum. Ensure you have information and necessary contacts of their E-level personnel. We at KSS have subsequently resolved the issue with Tina at Must Power Limited, they have sent us some replacement boards at their own expense so we consider the issue resolved. .
Must Power Limited supplied us defective PV20-2000 solar inverters. They refuse to replace boards and insist we pay for new ones to replace their defective product. After spending US$50,000 with them. We would advise people not to buy their product as they do not honour any defects. Tina has been a problem to deal with as mentioned above. We have cooperated with Must power company for over 5 years. And we have visited this company every year. It’s big and professional manufacturer for inverter products. And last year there techinical team came to visit us and support us for technical service. It’s good! I trusted this type of business. They are becoming more and more professional. If you have any technical support needed. Please you could come to me also. This has also happened to our sister company German Solar Services – MUST IS DANGEROUS- Management can NOT be contacted!!!!!!! This is an update to the earlier post on our transaction with MUST Power Limited. Within the last 2 months, the sales manager Tina Yuan has been in touch after mediation by China Sourcing team. Must Power is willing to offer discounted spare parts on some of the products and none for others. To us this is a compromise position though it does not fully meet our requirements but out of goodwill we are willing to proceed with the discounted order for spares. We will provide further update on the outcome of the dispute resolution but we wish to thank our China sourcing contact (introduced by a volunteer at SBL) who came to our assistance in resolving this dispute. We also look forward to providing technical support for MUST power in our country if they provide the necessary spares and cooperation going forward.